Love is the only thing that people die for, and live for, in the same time. Regardless of age, education, spiritual conviction or status, love can cause a person to trip and question everything. It is something that makes us truly human. Even though this word has been used to describe a variety of emotions, real love goes deeper than being just an emotion. It’s a state of being, a frequency of existing, a realm of reality. The modern representation of Love has been linked to owning somebody, feeling complete or broken whether the one we love loves us back. But that’s just one psychologically twisted form out of many. All these confusions come up because we slowly forget the real meaning behind love. In the basic sense, Love is the primordial force that moves 2 separate things together to create a whole new being. Love is a force that unifies into wholeness! Our human psyche interprets this force through emotions and attraction. It translates and evokes it depending on different psychological factors. For example, most people when saying that they are in love with someone they are actually in love with the unconscious aspect of themselves they see in this other person. That’s why most relationships are based on owning each other, because people feel entitled to the aspects they are in love with. Subconsciously, those are parts of themselves. Love is a force that wants you to be whole, one way or another. It unifies everything into wholeness. It’s a force of unification and expansion. There are many philosophies and attempts to explain Love and even more produces inspired by it. According to the Ancient Greeks Love can be experienced in 7 different forms. Their philosophy says that there are 7 types of Love that differ in energy and intensity. The Eros is the love in a form of intimate desire that you feel towards another person. It’s governed by a sexual attraction that is mostly physical in nature. On an energetic level, Eros love flows from the Root and Sacral Chakras. The Root Chakra energy has been with us since the primitive times, even before love had its name. Passion and pleasure are brought by the Sacral Chakra. As quickly as it comes, this type of love quickly fades away. This makes every relationship that is rooted in Eros to not last much. The Philia is the love you have for your friends and family. This feeling is more rooted on companionship or friendship. On an energetic level, Philia comes from the heart Chakra as it is based on mutual feelings of trust, respect, and admiration or acceptance. In a romantic relationship, the Eros and Philia love may thrive, which depends if both partners discovered Philautia (self-love). If a relationship is based on the 3 of these, it will last much longer. The Storge is the love and affection between parents and children. This love is rooted on dependency and familiarity of connection. On an energetic level, Storge love comes from the Heart and Crown Chakras and is very pure and unconditional. The Greeks said that many adults seek this type of love in their romantic relationships. but because of the high levels of dependency and attachment involved, it may lead to complications. This type of love doesn’t work well in romantic relationships because it changes the flow of energy and makes it ego driven, resulting in codependency and toxicity to the relationship. The Agape is the Universal love we feel for one another, the planet, the Universe or God, nature and all other creatures. It is an unconditional love and the life force of the Universe. On an energetic level, Agape flows from all the Chakras and signifies equality and balance. We strengthen Agape love by meditating, spending time in nature and enhancing our spiritual connection. All relationships have a touch of Agape love as we glimpse into this divinity as we look into our partner’s eyes. The Ludus is the love we have for play, fun and adventure. It’s the childish love we all have when we play as little kids, the love we have for the play itself. 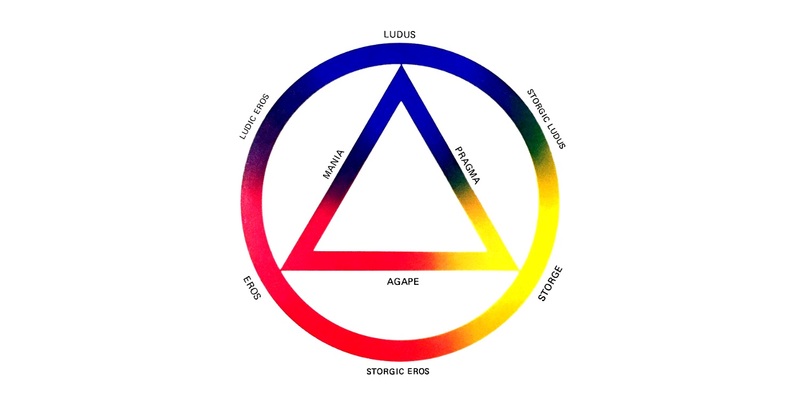 Ludus is all about seeking pleasure and having fun and comes from the Sacral Chakra, on an energetic level. In this type of love, the people involved focus only on the experiences and not on the actual attraction. Ludus is projected in a form of a playful relationship characterized by flirting, seducing or having intimate experiences without any feelings. The Pragma is the love which is built on personal qualities, shared goals, and duty. It’s mostly projected through love for one’s home country, a political party or higher purpose. On an energetic level, Pragma type flows from the Root and Heart Chakras. On a deeper sense, this type is all about surviving together and working towards a common goal. It is strengthened by the respect and admiration the people involved that they have for each other. A love that starts from Eros or Storge has a chance of developing into the Pragma type. Arranged marriages fall under this category. The Philautia is the love a person has for oneself. We need to realize this love within us to have a sense of belonging and develop our purpose in life. 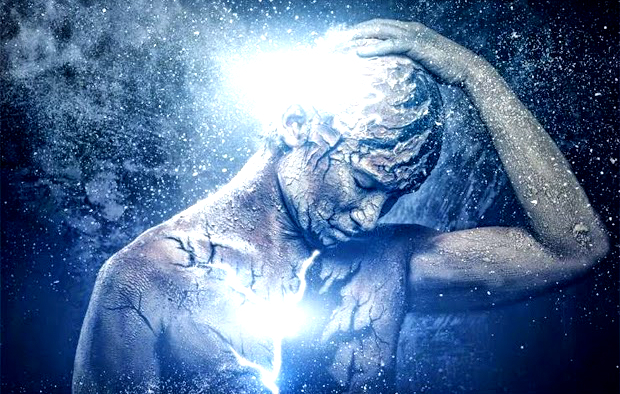 On an energetic level, Philautia love flows from the Heart and Third Eye Chakras. When we love ourselves and believe in ourselves, our intuition opens up and leads us to our purpose. Relationships where both people have a healthy Philautia while maintaining strong attraction and passion towards one another tend to be the strongest and last longest. But Love cannot be defined! By knowing all these 7 types of love, it is much easier for us to articulate the kind of emotion we feel. When we know the type of relationship we are in, we can easily evaluate where we stand and where the relationship is going. But Love is not that easily defined. Love is never complicated, but it cannot be explained. Sometimes it’s a word, sometimes a symphony. It’s only the things that come as a result of it that make things complicated and describable. It’s the intensity that creates categories. But Love is beyond explanation, it’s beyond The Universe and ourselves because we are all products of Love. All we can do is resonate in its frequency and give its fruits.